Blog Taking rank tracking to a whole new level.. SRM 2.0 is LIVE! Taking rank tracking to a whole new level.. SRM 2.0 is LIVE! How do you improve something that’s already working great? There are many answers to that question, but it definitely starts with accepting that it might be best to rebuild everything from the ground up in order to go to the next level. Well, that’s exactly what we did with SEO Rank Monitor. Over the last 6 months we’ve been spending all our time, energy and resources into building a completely new platform. We went back to the drawing board and visualized the perfect rank tracking tool – all the way from the rank-checking infrastructure up to a completely new user interface to present all insights in a meaningful and easy to understand way. 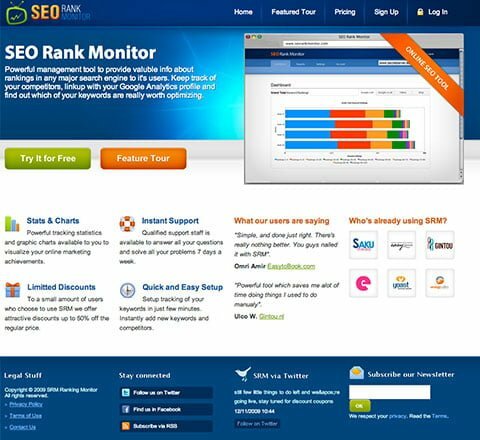 The result is what you’re seeing today – a completely new version of SEO Rank Monitor that doesn’t even come close to our previous platform – or any other platform for that matter. We’re not some “new kid on the block”. 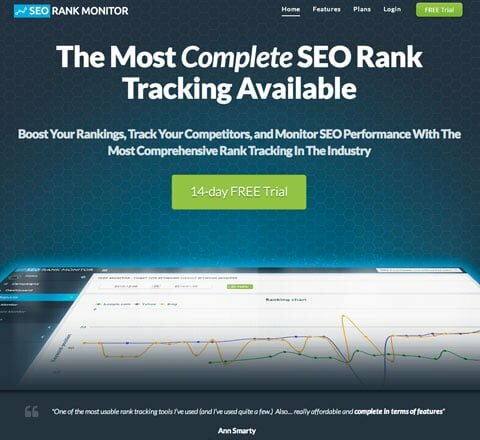 SEO Rank Monitor was founded in 2009, giving us 4 years of experience in tracking rankings and delivering valuable SEO insights to our customers. Thanks to our experience we were able to fully understand what’s most important to our customers, which we then used to design the best rank tracking platform possible. One of our priorities, while designing the new platform, was to make it as easy to use as possible. Using an intuitive interface and easy to understand graphs we believe it’s save to say we succeeded in that. While focusing on the best user experience possible, we also realized that until today there was no rank tracking tool available that allows users to track their mobile rankings separately. With over 2.1 billion mobile web users it’s something we simply couldn’t ignore, which is why we extended our rank tracking servers to mobile rankings as well – so users can see how their dekstop rankings differ from their mobile rankings. With customers like Easy To Book and Yoast using out platform, we’re always being challenged to be at our A-game, which is why we’re taking our customers feedback very seriously. When we recently gave a select group of our customers early access to the new platform, we were blown away with the responses we got. They loved it! However… we’d like to hear what YOU think as well. You can sign up for a 14 day free trial by clicking on the button below. We’d by super happy if you would give SEO Rank Monitor a try, and let us know what YOU think! Want to test-drive the Most Complete SEO Rank Tracking Available? Sign up here for a 14 day free trial!